I'll keep it short and sweet. It's the end of October. That means November is almost upon us. 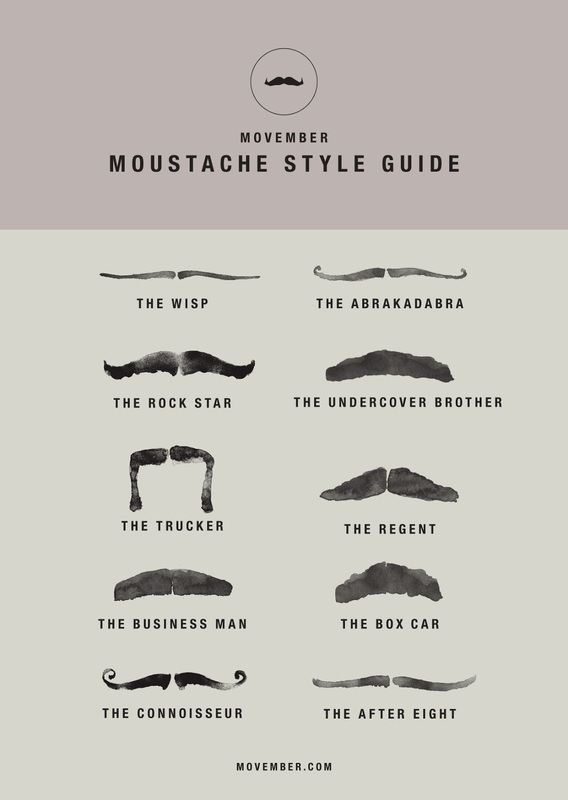 And November is the month of Movember the only charity tackling men’s health on a global scale, year round. They address some of the biggest health issues faced by men: prostate cancer, testicular cancer, and mental health and suicide prevention. Movember is continuing their promotion of general health with their MOVE initiative along with the moustache awareness & fundraising efforts. Get involved here. For years Milwaukee has had and continues to have some of the coolest man-friendly socially responsible events around as organized by the guys at Movember MKE, our very own ambassadors for men's health issues. As always, we are happy to help promote Movember and all the events associated, check out our calendar of compiled events here. 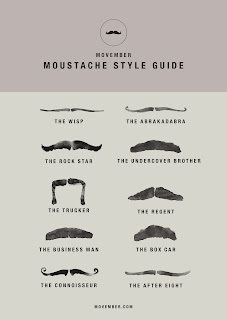 If you are looking for inspiration for your moustache, check out the new style guide.